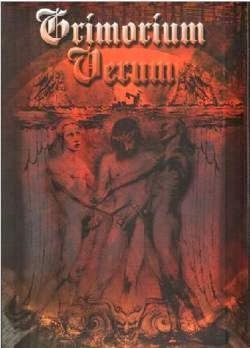 Grimorium Verum (Latin for True Grimoire or The Grimoire of Truth) is a medieval text which outlines detailed procedures for preparation and evocation of powerful (elemental) spirits. It is an advanced text, I would say that it can be paralleled to the illustrious Book of Abramelin. Various Grimorium Verum editions and books are available, I would recommend the one by Jake Stratton-Kent. Well, I was inspired by my Goddess Kalika to dedicate my time to completing Grimorium Verum evocations (GV operation,as I refer to it). I read thorough all text few times, really dedicated my time to trying to comprehend the essence of the text and I decided to skip the tedious medieval preparation instructions (you will know what I mean when you read the book :) ), knowing that those material deeds and tools may or may not be crucial for the operation. Such preparations do accumulate a lot of energy, though, so it may be a good idea to actually go through with them. Not me, however. I am definitely not a traditionalist and love to improvise. I have a lot of experiences with working with spirits and Goetia evocations and I employ no tools (circle, triangle, ring etc...) and it works out very well. Besides, Abramelin operation in itself is stripped bare of all material tools apart from a consecrated space, wand and oil. I figured that GV operation can be concluded in similar ways. I was right. My Kalika was there with me all of the time. I also had all sigils outlined in the book printed out on a nice paper. I intended to request spirits to sign their respective sigil thus taking an oath of allegiance to me and my Devi. I understand this to be equal to requesting the spirits from Abramelin operation to swear on the word squares. According to the GV, there are three Kings, six Deputies and various powerful subordinate spirits - all under King LUC and his emissary, Scirlin. With above character (according to GV book) in my left hand, I first evoked Scirlin, I saw a change in the room immediately, and upon my request to see it in human form, I saw a lovely lady. It was Scrilin. I knew that relationship with her is the key to the successful GV operation, so I took some time to establish a base for a friendly relationship with her. No threats, no "if you don't deliver, I will..." etc..., just clear thoughts and intentions. She was not at all willing to cooperate with me at first, but when I focused my attention on my Devi, my Kali Ma, situation changed. I also kindly let the Emissary know that the incense is burning in her honor as well. I know from my Tantric practice that most spirits are miserable and covet the elemental energies, which can be offered to them via incense, water, fire, oil or perfume, and flower or food or stones. Spirits have no mouth so they "eat" via the sense of smell, according to our Tantric tradition. I also offered fire to her (and also a powerful perfume later on in my apartment) and she was most pleased. I moved on with the evocations, starting with the great king, LUC. I will refrain from outlining the details, lets just say that we are "friends" now (GV says that "spirits will offer their service to those that have good relations with them and are 'friends'", I am paraphrasing here of course). The relationship with Scirlin and later on with LUC was an introduction to rather intense transpersonal realizations regarding the nature of the spirits and my Goddess Kali. To make a long story really short, Scirlin was on my side and spirits listened to her, some obviously slightly intimidated by her, some more rebellious but still willing to cooperate. They charged their respective sigils (or as the GV says, they sign the sigils), thus making themselves available to my HGA and me. Just today I summoned Scirlin and asked her which spirit would be particularly good for a task at hand and she suggested Elantiel. I summoned him or she called him over to me, he was docile and willing to assist me. He even asked some questions. This was a fun read. I would love more detail on your adventures.